Employment Services are designed to improve each participant's job seeking skills, to provide support during the job placement process and with job coaching once the placement occurs. We provide ongoing support to increase successful adjustment to competitive employment and ultimately increase job retention. This program is dedicated to help you overcome those barriers that are preventing you from obtaining and maintaining employment. An increasing number of people who are mentally ill or have severe emotional problems want to be involved in some sort of meaningful activity. For most of these individuals that equates to work. Unfortunately, traditional job development and work placement programs have failed due to a lack of attention to managing the emotional problems and mental illnesses that negatively interfere with obtaining and then maintaining community based competitive work. The cycle of failure in employment cannot be broken until all of the factors impacting upon an individual's ability to get and then keep a job are addressed. This is especially true for someone dealing with mental illness. Employment Services are designed to improve each participant’s job seeking skills, to provide support during the job placement process and with job coaching once the placement occurs. An integral part of the program is to provide ongoing support to increase successful adjustment to competitive employment and ultimately increased job retention. Some of the skills participants need to develop include: completing job applications, writing resumes, and interviewing. Concentration on personal and interpersonal relations with supervisors and coworkers, appropriate work attire, punctuality, grooming and hygiene, socialization, transportation training, budgeting, coping skills and strategies, managing psychiatric symptoms in appropriate manner and the development of natural supports are also included. ​TeenWorks is a short-term pre-employment program that helps adolescents age 14-21 develop work and independent living skills that will help them transition well to employment. The program has three modules 1: Looking for Work 2: Keeping a Job and 3: Life Skills for Living on Your Own. This 6-12 week group provides an opportunity for career exploration, building job seeking and soft skills, and developing an understanding of how these skills work together to towards the ability to transition to work and independent living after graduation. Re-Entry Employment Group is a 12 week group that works with re0entering citizens as well as those who have transitioned previously back into the community but have had difficulty finding employment due to their legal history. This group focuses on addressing barriers to employment, understanding how to handle and individual’s legal history related to interviews and job search, and understanding behaviors that individuals have made that have contributed to being able to maintain employment. Employment Empowerment Group is a 6 week employment group that focuses on soft skills, resume building, interviewing and goal setting. This group provides individuals with a brief overview of these areas to help create an employment seeking plan and address barriers to obtaining employment. 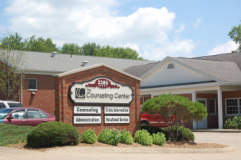 The Center’s Employment Services is nationally certified by CARF and state certified by the Ohio Department of Mental Health and Addiction Services.